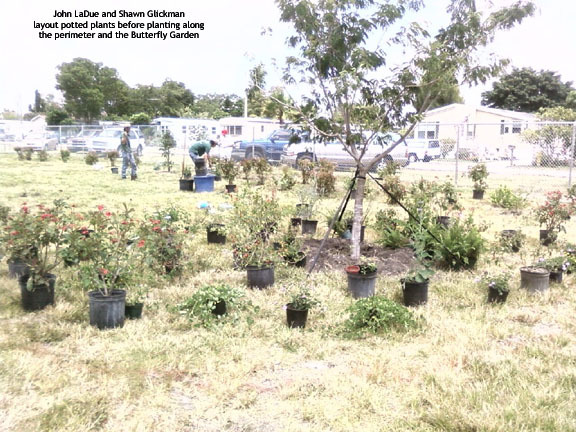 The Davie Area Land Trust completed its first community project, landscaping the Town of Davie's new 8th Street Park with a matching grant from Broward County's "Broward Beautiful" program. 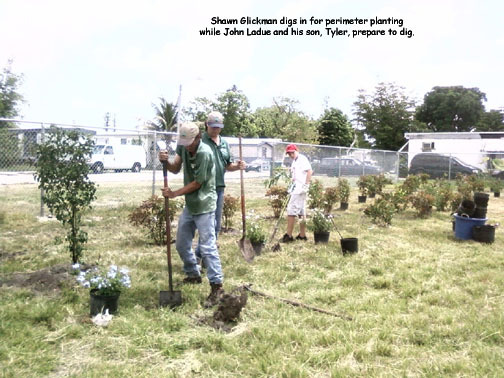 The final report on the project noted a total of 642 volunteer service hours, and a total project cost of $ 15,627.97. Of that amount, $6,925.00 will be reimbursed as matching funds from the County, and approximately $8,700.00 was actually covered by in-kind services and donations. 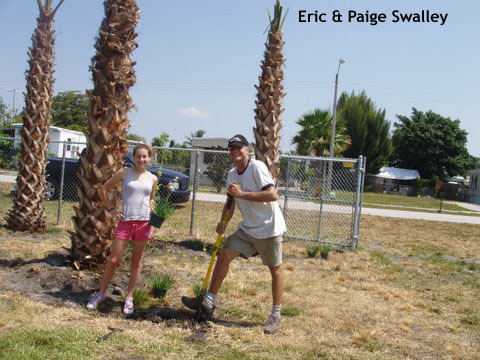 The park is located just east of 136th Ave on SW 8th St, south of I-595. 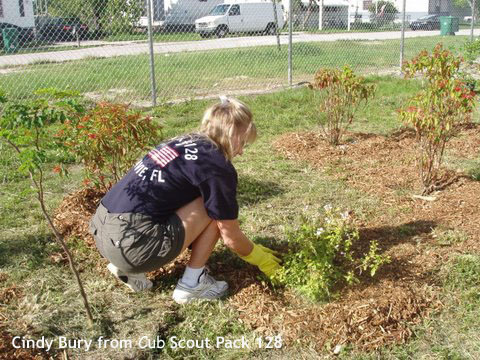 Of special note, the arbor and trellis work at the entrance to the Butterfly Garden were donated and constructed by Eagle Scout Jacob Brown of Troop 118 as a scout-sponsored community project. This particular donation required approximately 200 volunteer service hours, and cost $1,087.10 in materials. 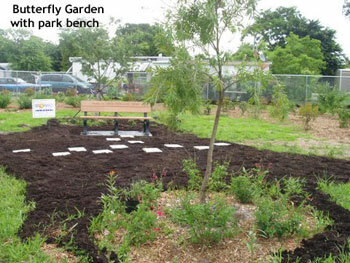 The Davie Area Land Trust donated the park bench as a permanent reflection of our involvement at the park. 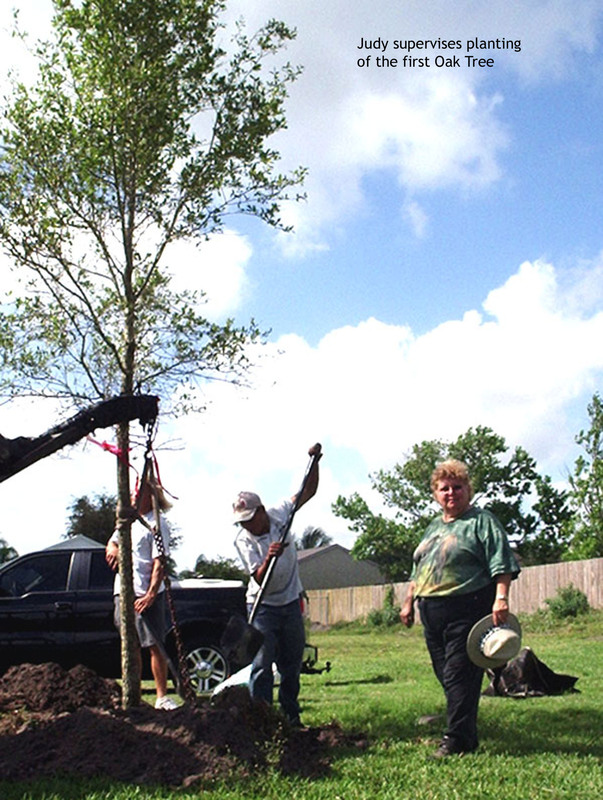 The rest of the park is still under construction through the Town of Davie, but the 25 trees and plentiful greenery all our volunteers planted and dutifully watered for all those drought-plagued weeks have taken root and are showing excellent progress! Additionally, Dwight and Donna Weddington did an outstanding job coordinating the cub scout packs and boy scout troops! 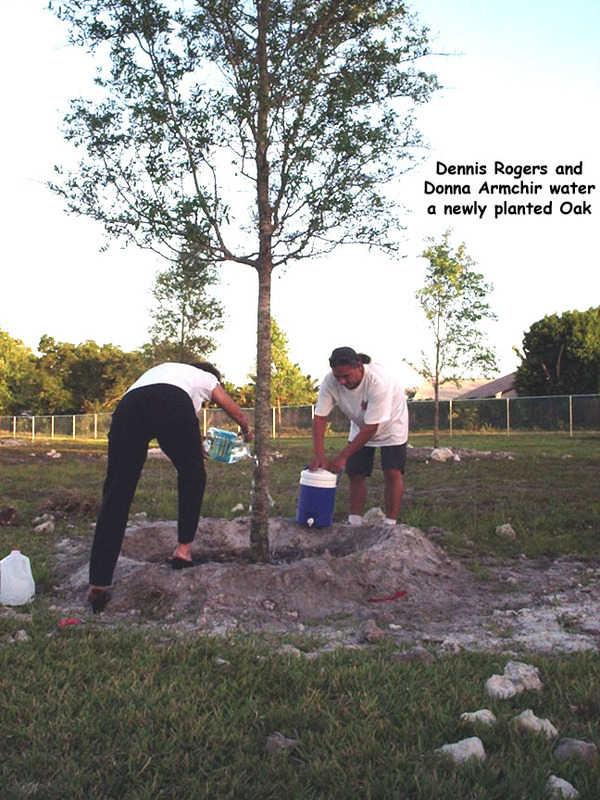 Dennis Rogers and Donna Amchir water a newly planted oak.